With a durable rubber outsole and hardy leather upper, the Chavito Chukka Boot is a rustic and unbeatably stylish wardrobe staple. 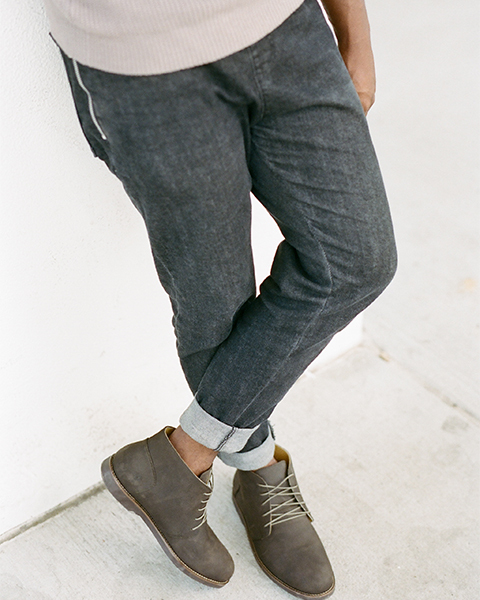 The versatile men's chukka boot transitions easily between jeans and slacks, making it a no-nonsense shoe that will suit the needs of any man on the go. Fits true to size. 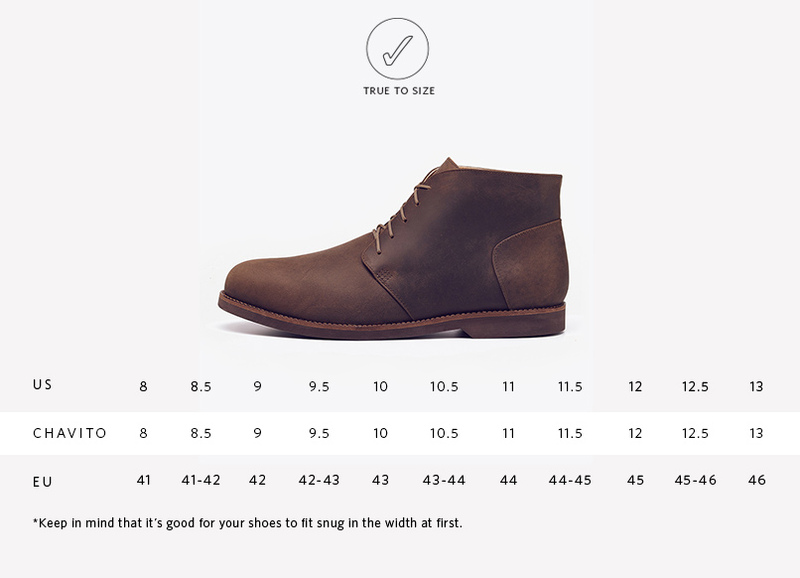 They may be a little snug in the width initially but will begin to stretch and mold to your feet within the first few wears.